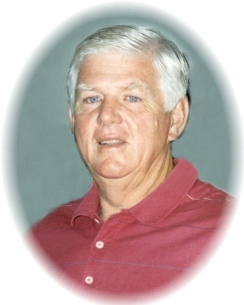 Mr. Alton Wesley Waller, age 78 of Griffin, passed away Sunday, February 3, 2019 at Brightmoor Hospice. Alton was born on October 4, 1940 in Thomaston, Georgia to the late John Milton and Ruby Waller. In addition to his parents, he is preceded in death by his brother and sister, Sammy Waller and Dixie Waller. Alton was a devoted husband, father, grandfather, great-grandfather, brother and friend. Alton was a member of Rock Springs Church in Milner; he loved to hear weekly sermons from Pastor Benny Tate and the voices of his favorite singers, Cameron Shiflett and Mr. Ray Shaw. He loved spending time with his family and friends, especially his grandchildren. He also enjoyed hunting and relaxing by the Flint River. Alton served the Griffin Community for 25+ years while employed with the City of Griffin Public Works Department/Superintendent of the Street Department. After retirement, he worked for Brent Scarbrough & Company, enjoying his gifted and skilled trade of driving heavy machinery. He is survived by his loving wife of 52 years, Sandra Sauls Waller; daughters and sons-in-law, Connie and Earl Clements, Angie and David Dillon, Stephanie and Bowen Jones; eight grandchildren; Cody Clements and wife, Lauren, Anna Beth Clements, Olivia Dillon, John David Dillon, Wes Jones, Jake Jones, Emma Jones, and Meg Jones; one great-grandchild; Waylon Clements; and life-long best friends, Allen and Frances White of Locust Grove, GA. Survivors also include his brother and sister-in-law, Cooter and Marsha Waller of Thomaston, GA and many loving cousins, nieces, and nephews. A visitation for Mr. Alton W. Waller will be Wednesday, February 6, 2019 from 12:00 pm until 2:00 pm at Conner-Westbury Funeral Home. Following the visitation, a funeral service will be conducted in the Chapel of Conner-Westbury. Dr. Benny Tate will officiate. Interment will follow in Oak Hill Cemetery. In lieu of flowers, the family requests donations in Alton’s memory to Rock Springs Church, 219 Rock Springs Road, Milner, GA 30257 or to Stepping Stones Educational Therapy Center, 141 Futral Rd, Griffin, GA 30224.